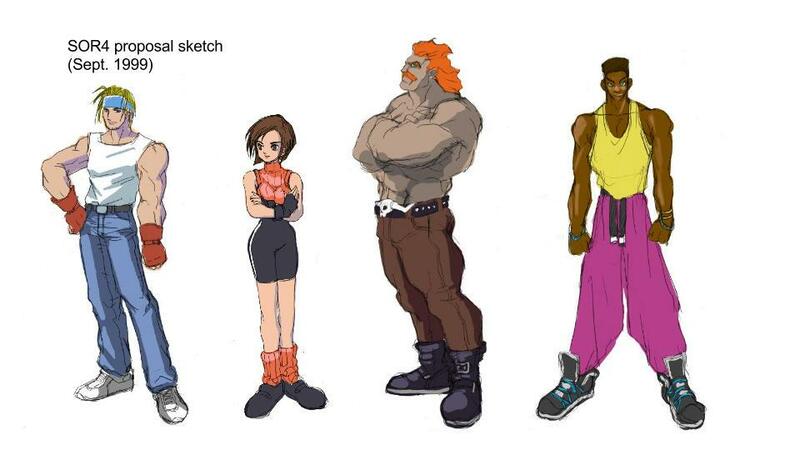 08/11/2015: new Streets of Rage 4 (1999) concepts revealed! Yuzo Koshiro tweeted a couple of concepts from the proposed Streets of Rage 4 project of 1999. Featured in these concepts are 4 next generation characters, Burn aka Axel jr, Erie a kunoichi, an unnamed muscular type possibly a wrestler and another unnamed character with a design similar to the Hunter Brothers. The other concept appears to contain combo ideas for the first two characters. Keep an eye on this post as I'm sure there well be more revealed! 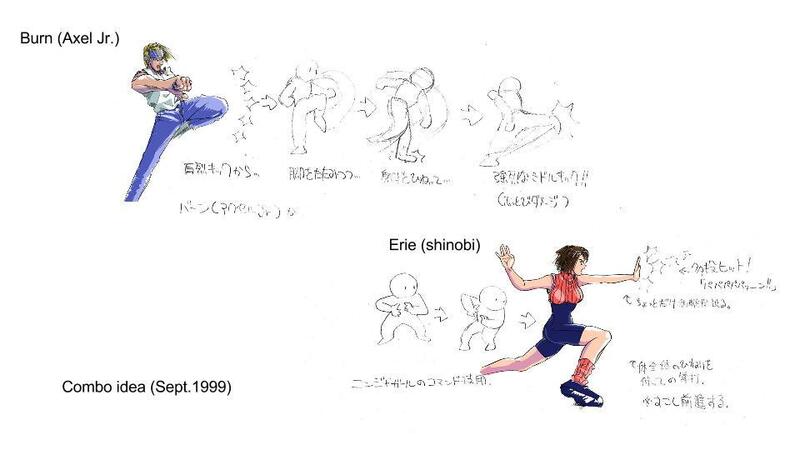 Re: 08/11/2015: new Streets of Rage 4 (1999) concepts revealed! So they were going for the children of Axel, Blaze, Max, and Adam?